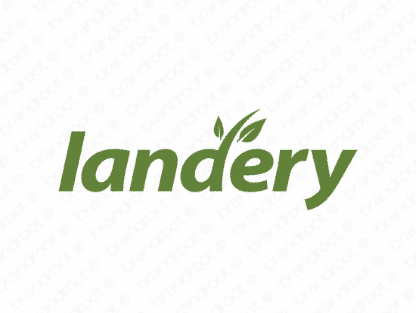 Brand landery is for sale on Brandroot.com! A splendid, professional name centered on the word land, giving it multiple applications. A straightforward and objective name ideal for acquisition, development, planning, architecture, or agriculture companies. You will have full ownership and rights to Landery.com. One of our professional Brandroot representatives will contact you and walk you through the entire transfer process.